So, we recently moved into a smaller place…you know, kids growing up and moving out, we had a lot of empty space. The new house has the weirdest family room I’ve ever seen. It is long and narrow and the TV will only fit on the long end. That is a problem. My sofa is a huge sectional with an over-sized chaise at one end and I refuse to buy a new sofa until the last child has moved out! lol But I digress, back to the bar… I used only one section of the “sectional” for the opposite end of the TV, another problem….the room is so long, if I push the couch all the way against the wall, it’s too far from the TV. So I moved it forward and it created a very weird space between the wall and back of the couch. It was very easy to construct (in all disclosure, I had a handyman build the heavy work. I did the tile). About $150 in supplies (depending on the tile you choose) and $100 to the handyman for labor. 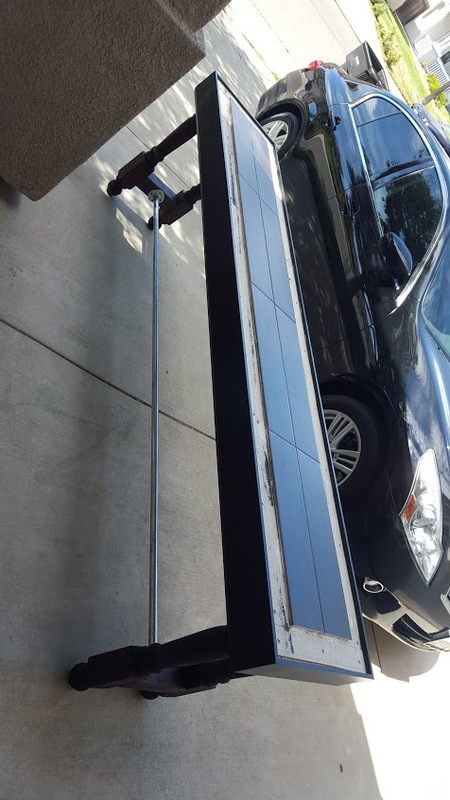 For $250 I have an AWESOME custom-bar that I absolutely LOVE!!! Yes…that is ALL tile on top. I found some awesome faux-wood tiles at Lowe’s. They were $1.50 each and I only needed 8. 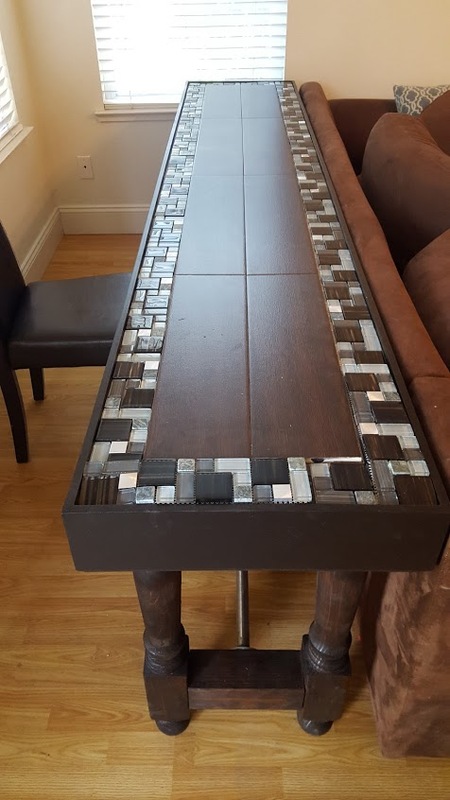 The glass tile on the surround was probably the most expensive part. Those came in sheets of 12×12 with a net backing. 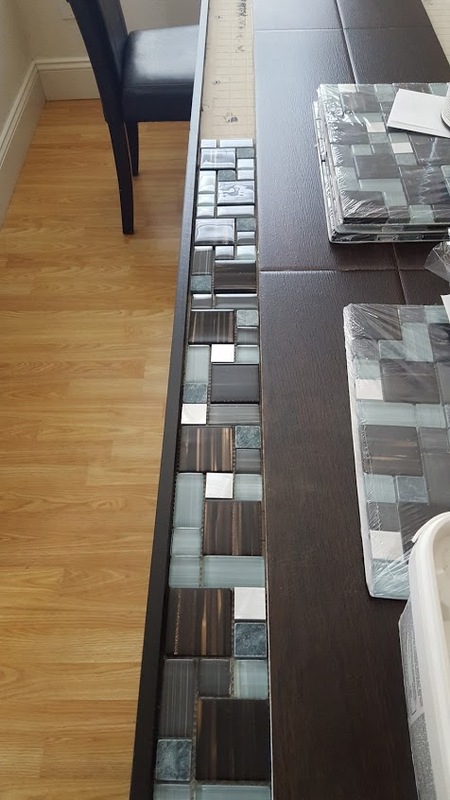 However, all I had to do was cut those into strips (just make sure the tile you choose has an even line somewhere, so they can be sectioned out. Each “tile” lent 4 strips of 12 inches. I can see why you love your table. I think what you have done with the tiling is amazing. Well done you.